The best car for this price! Very low cost - hurry to buy! The greater your fuel-efficiency, the less your carbon footprint. And with exceptional MPGs, this Ford Fiesta treads ever so lightly on Mother Earth. 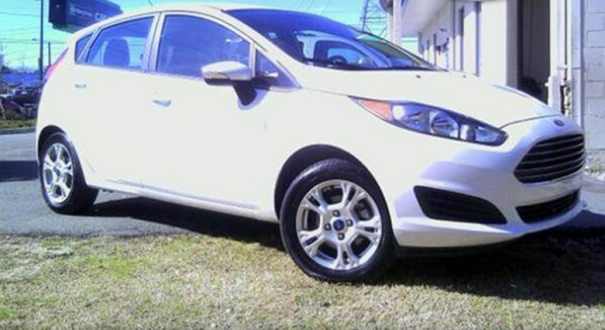 The Fiesta SE will provide you with everything you have always wanted in a car -- Quality, Reliability, and Character. This is about the time when you're saying it is too good to be true, and let us be the one's to tell you, it is absolutely true. More information about the 2014 Ford Fiesta: The Fiesta offers a host of connectivity and tech features that aren't typically available in this budget-priced small-car class. Its 40-mpg EPA highway rating is very impressive, while the 6-speed PowerShift transmission is one of the most advanced automatics in any small car. Other features, including push-button start, aren't typically offered in its price class, while a wide range of potential customization and appearance options appeal to younger shoppers who want to express an individual style.